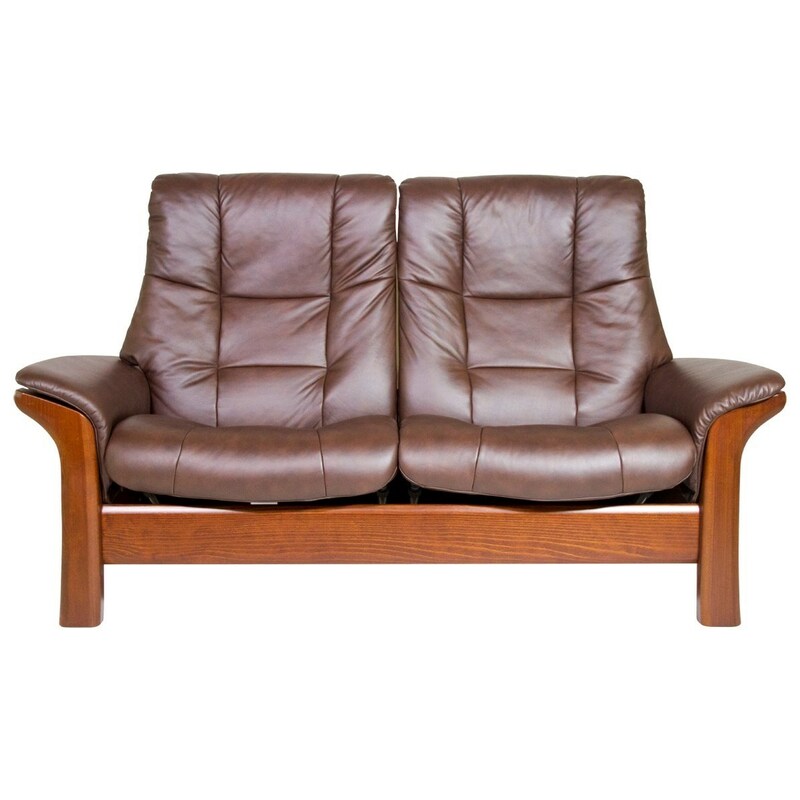 Providing seating for two, this high-back loveseat provides perfect support and comfort. Featuring two individually reclining seats and a patented glide function, which follows your body’s slightest movements. Create the look you want with your choice of staining of the laminated European beech wood and four types of leather available in a full range of colors. The Buckingham Reclining Loveseat by Stressless at HomeWorld Furniture in the Hawaii, Oahu, Hilo, Kona, Maui area. Product availability may vary. Contact us for the most current availability on this product. Fabric Content The leather selection process implements the most stringent international quality control standards. Every piece of Stressless and Ekornes leather furniture reflects our distinguished taste for the finest leather available. Inspired by some of London's most chic addresses, the Stressless Buckingham collection is as sleek as its name suggests. This classic collection delivers all of the comfort you would expect from Stressless with all of the style you would expect from the British capitol. With gentle curves, padded arms and a supple seat, these sofas offer an invitation to pure relaxation. 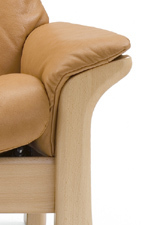 The Stressless Buckingham sofas each have individually reclining seats coupled with our patented Stressless Glide System, ensuring maximum support for the entire body. See how lovely comfort can be. The Buckingham collection is a great option if you are looking for Contemporary furniture in the Hawaii, Oahu, Hilo, Kona, Maui area. Browse other items in the Buckingham collection from HomeWorld Furniture in the Hawaii, Oahu, Hilo, Kona, Maui area.